In a blink of an eye, 2018 is coming to a close. And while the past 12 months has had its fair share of terrible news from natural disasters to mass shootings and humanitarian crises, there has also been much to make you feel good and smile. 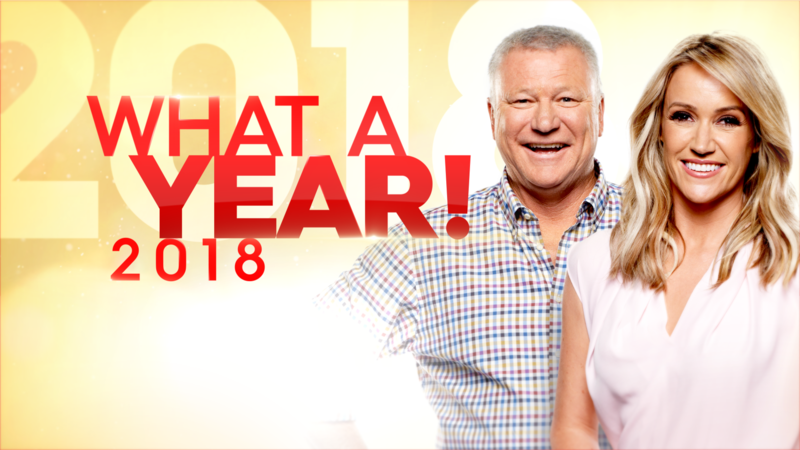 What A Year is a 90-minute special look at the past 12 months told in a light-hearted, informal way – there’s the obvious news headlines of the year but there’s also a big emphasis on entertainment highlights, music, TV and lighter stories. Hosted by Scott Cam and Leila McKinnon on the roof terrace of The Block in Melbourne, viewers will be guided through the big events of the year by Nine personalities including Tracy Grimshaw, Sylvia Jeffreys, Richard Wilkins and David Campbell, who all host their own individual segments such as local news, international news, sport, local TV, Music, Royals, movies. And what a year 2018 has been! From the Test cricket sandpaper scandal that ruined the careers of some of Australia’s biggest sporting stars to the Royal wedding of Prince Harry and Meghan Markle, there has rarely been a dull moment. If there was, then you could always count on US President Donald Trump to spice things up. What A Year takes viewers on a rollercoaster ride through the year, trying to make sense of it all. There are the award ceremonies from the Oscars to the Logies; the top movies of the year and of course the TV shows that kept us glued to the screen. We feature the best moments of A Current Affair that resonated with Australians, and have a laugh at the viral clips. On a heavier note, 2018 also generated headlines for plenty of the wrong reasons, including several mass shootings in America and heartbreaking crimes here at home. What A Year will screen on Nine on Sunday, December 23 at 7pm.